As a meditation and movement teacher he has studied extensively with Tarchin Hearn who encouraged Jaime to facilitate and teach. 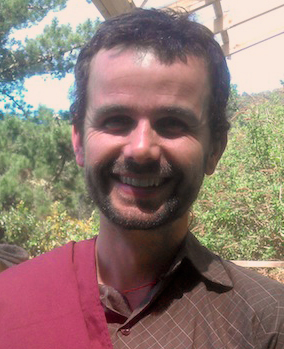 Jaime has spent the last three and a half years as a resident practitioner at the Wangapeka Study and Retreat Centre. He is a founding facilitator of the Young Adult Retreat and Director of the six-week Bodhi Seeds Retreat. A graduate of a three-year school of Living Dharma and a trained MBSR teacher, he weaves ritual, meditation and dance with a vision to create awake communities. Jaime is a musician who plays slide guitar, sings and write songs about what it means to wake up in the midst of ordinary living. Another strand to Jaime’s work is as a developer and Director at the Rites of Passage Foundation. This has involved over a decade of karma yoga, volunteering to help fathers helps their sons to transition through and with community into functioning adulthood. He has helped develop the rites of passage process spending six years working towards a Masters Degree in Education that focused on the Rites of Passage process. Rites of passage involves the conscious initiation through life stages in to and towards mature adulthood. Jaime is the founder and Director of Opening Minds. He was one of the first to develop and deliver programmes of mindfulness to schools beginning in 2002. He had taught courses across the country for organisations such as Childs Cancer Foundation, Schools Executive officers, Adult and Community Education (ACE), Whenua iti Outdoor Pursuits Centre, Mindfulness Works. Jaime helped Grant Rix develop the Pause, Breathe, Smile programme offering a programme of mindfulness at one of the pilot research schools. Jaime is currently training to teach the conscious dance practice of Open Floor. This is a lively meditation practice that builds muscular and emotional intelligence. Working through the body we find a way to move and include all the dimensions of being, the light, the shadow, the paradoxes. Open Floor practice teaches how to show up, to claim your brith right as an awake mature human being capable of love. Jaime often says “you cannot fight your struggles because they feed off the fight, but you can have them dance.” Research shows that people who dance grow more flexible, confident, capable of intimacy…they are nimble in the face of change.